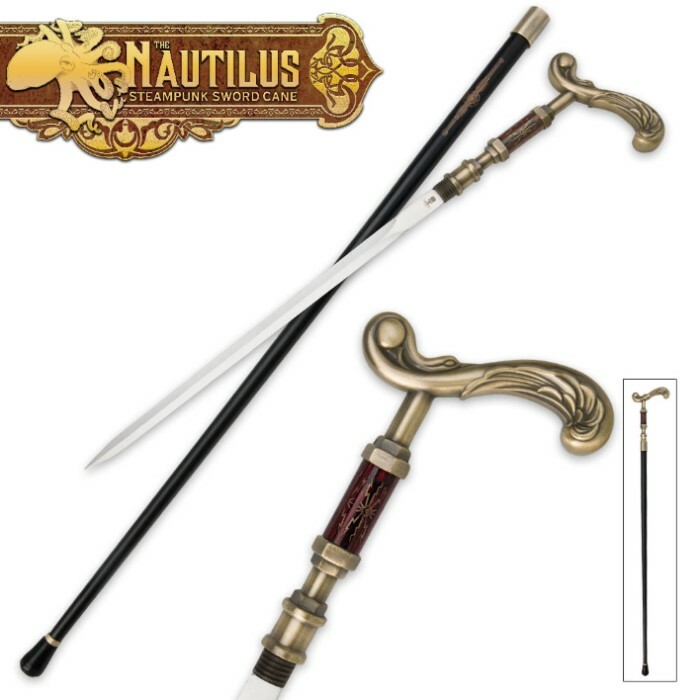 This sword cane is completely Steampunk and was inspired by “The Nautilus”. Get it right now to add to your wardrobe or collection of Steampunk articles before it’s too late. The 12 in. blade is of sharp stainless steel and the piece is 36.5 in. overall length. 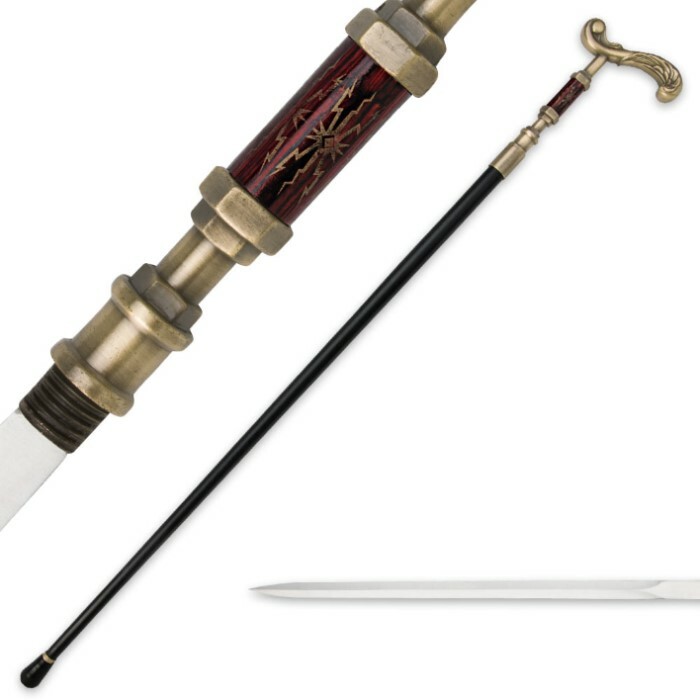 The Steampunk-style metal alloy and wood handle is accented with an electroplated brass color. The body is of strong painted iron with a rubber endcap for stability.